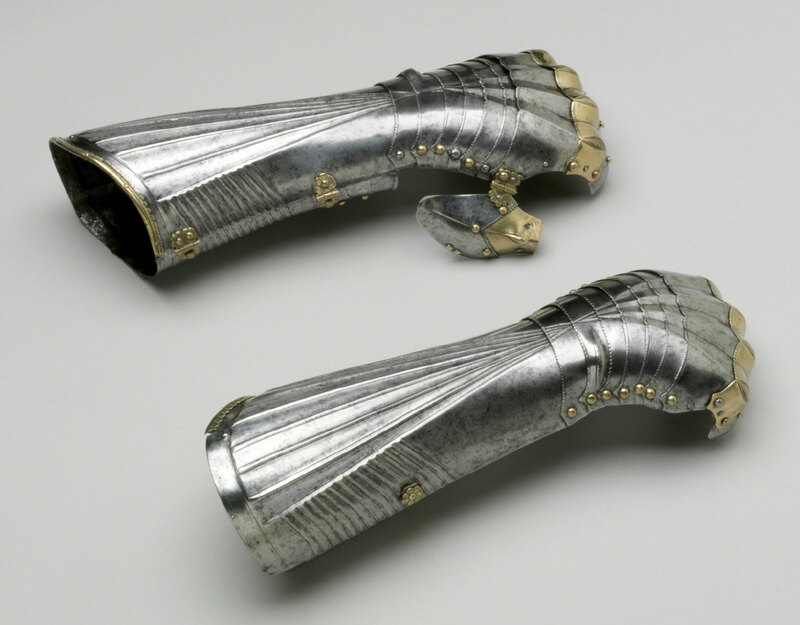 These gauntlets, the finest of their kind, exhibit all the hallmarks of the work of Lorenz Helmschmid, the most brilliant German armorer of the late fifteenth century. 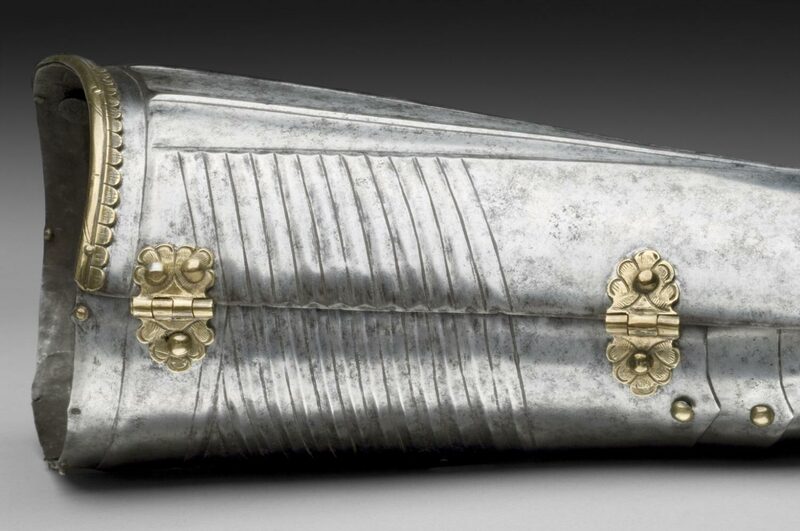 They are superbly forged and embossed with arrays of fine ridges. Articulated lames at the wrists facilitate the motions of the hand. 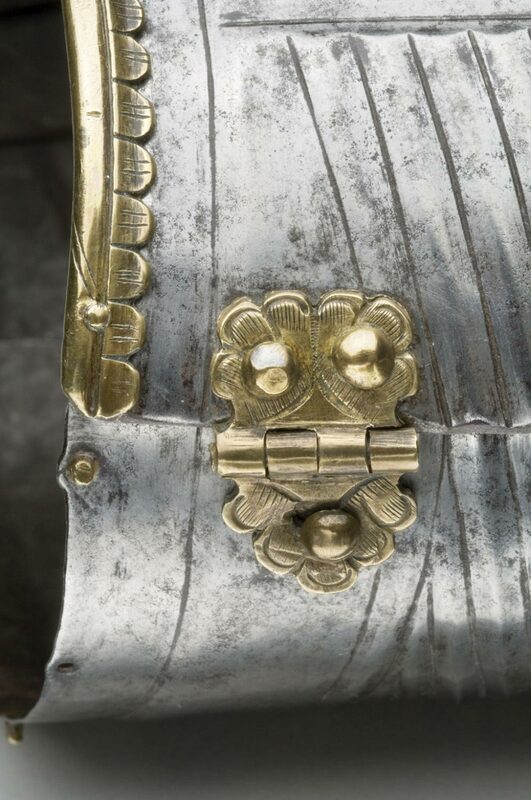 The latten metacarpal plates and hinges are delicately file-decorated along the edges. 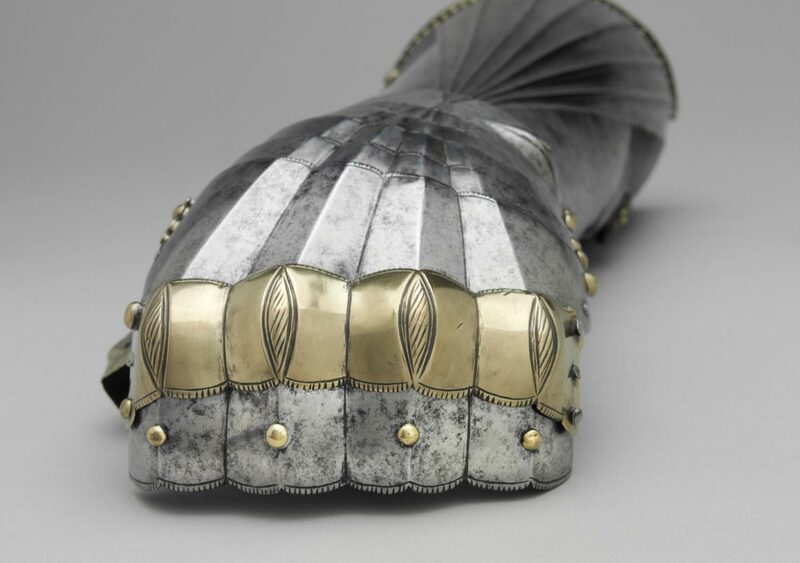 Lastly, each cuff is adorned at the top with a tooled latten border comparable to the ones found on late Gothic armor bearing Helmschmid's armorer's mark. 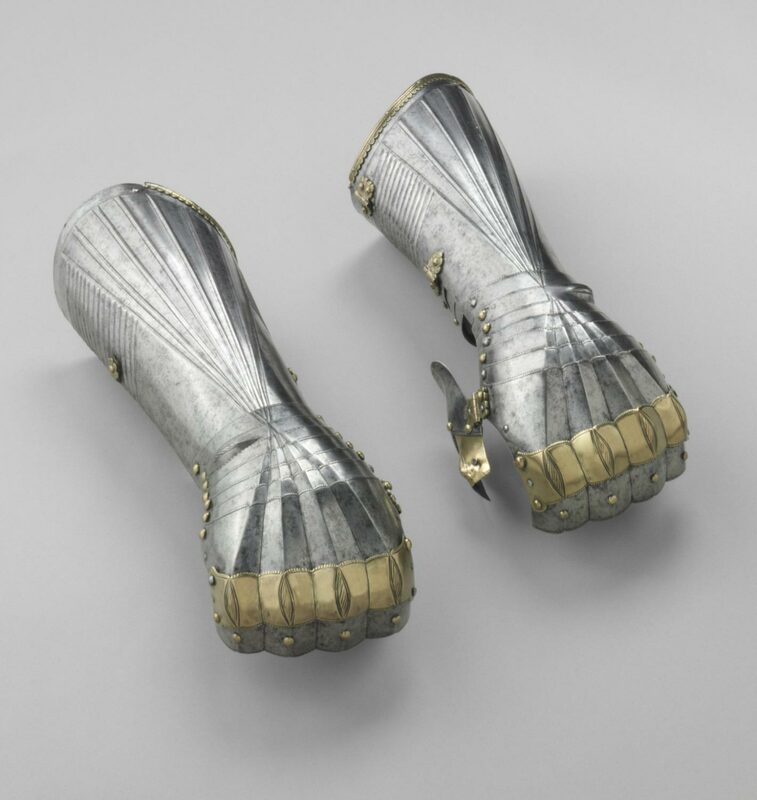 No further elements of the armor to which these gauntlets belonged are known to survive.